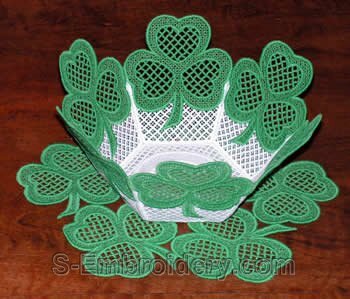 A shamrock freestanding lace bowl and doily set for St. Patrick Day. 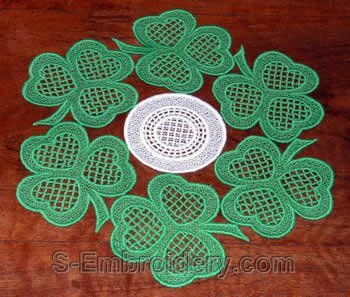 The set is similar to our SKU 10211 Shamrock free standing lace bowl doily set and includes 1 freestanding lace bowl and 1 shamrock freestanding lace doily. This is beautiful stitched out. 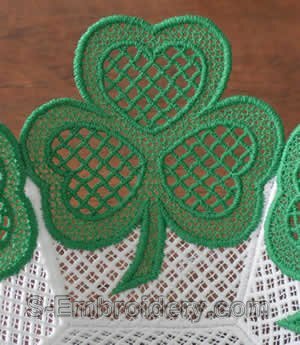 Anyone with Irish roots will love this for themselves or give as a gift.